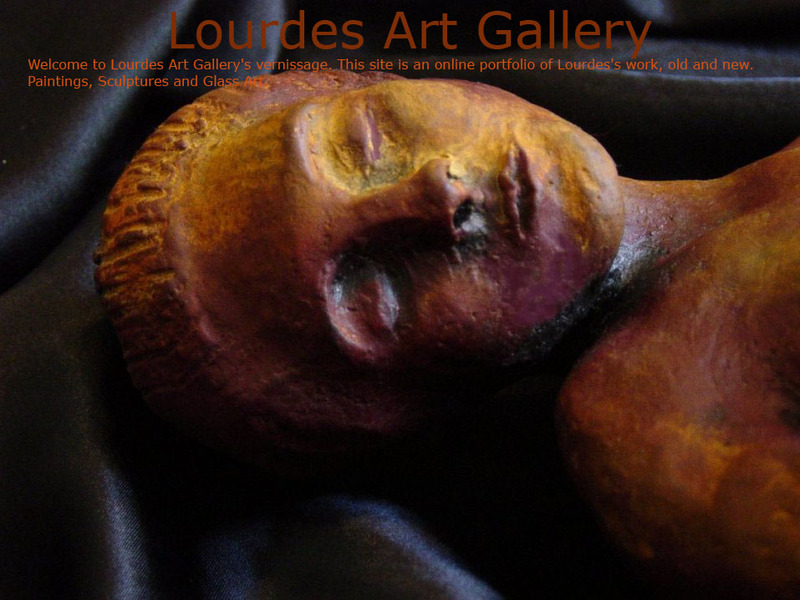 Lourdes Art Gallery: Welcome to the Art World of Lourdes Daza-Gillman! Welcome to the Art World of Lourdes Daza-Gillman! My artwork can be defined as contemporary art and it involves from figurative to abstract Paintings, Sculptures and Glass Art. By means of my artwork, I wish to achieve an increased inner peace and creativity throughout time. Former engineer turned artist. In 2003, after a 28 years engineering background working in the Telecommunications and Internet industry, holding various leading positions in the Network Management area, I decided to leave the technical work behind and spend most of my time to art and go ahead with my artistic talent. Stockholm Art School: Drawing and sculpture training. Citizen Schools: Glass Line: Glass Fusing, Tiffany “stained glass method copper-foil”. Other: Various advanced courses in sculpture and glass art. Centro International de Escultura (CIE) Global Stone Workshop - Pero Penheiro, Portugal. Sculpture in marble and limestone. Late 69 and Early 70s, I had great interest in crafts. My exhibitions were mainly hand-made dolls with colourfull dance costumes that represented the traditional dances of Bolivian folklore. I conducted a few exhibitions in La Paz, Bolivia, and Oxford, England. A handcraft collector and member of the Oxford University purchased the entire dance group.